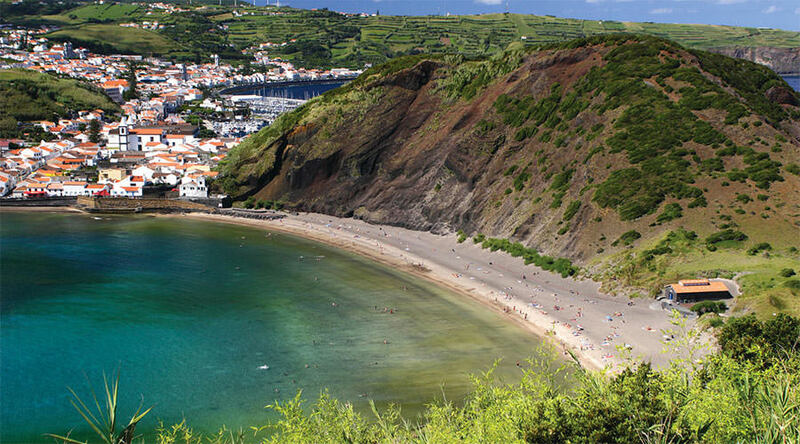 Faial island is arguably the most beautiful of the Azores islands, separated from Pico island by a narrow strait. 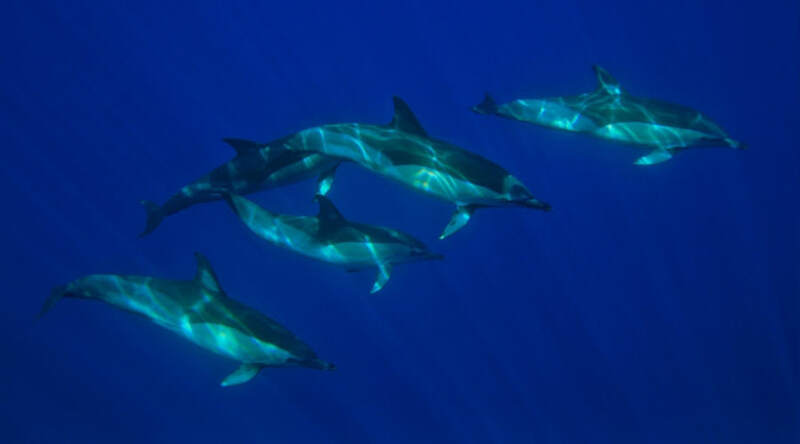 It's a stunning island, and popular for the almost guaranteed whale and dolphin encounters. But look beneath the waves and you find a new exciting world. 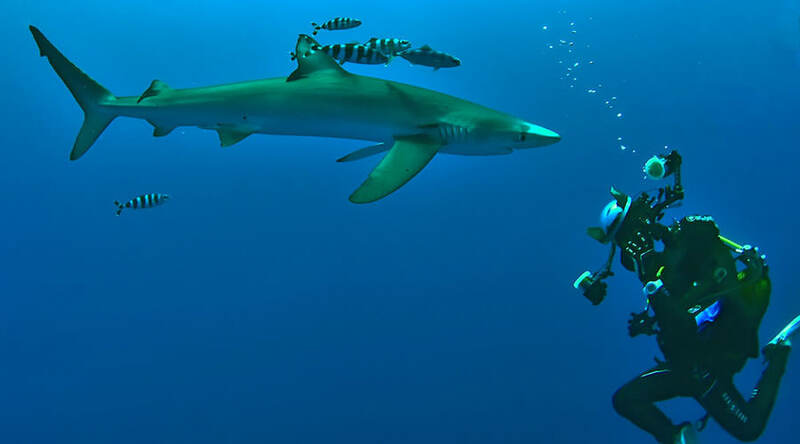 Faial has great reefs and walls for divers, but it's the blue sharks that attract most people here. Shallow encounters in blue water... what's not to like! 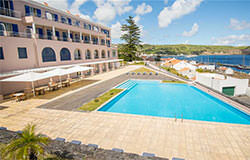 The 4 star hotel Faial resort is within walking distance of the island's historic centre. It's beautifully laid out around gardens and courtyards, with the added benefit of having the Haliotis dive centre on site. There are 131 rooms spread over 2 executive suites, 4 junior suites, 21 executive rooms and 104 standard rooms. The majority are standard rooms, with twin or double beds, en suite, air con, free wifi, satellite TV and mini bar. If you want more space to relax in, why not upgrade? The larger rooms are extremely good value and usually have sea views - please request at the time of booking. The restaurant has enviable views over the city and marina of Horta. Faial island was made for exploring. After your diving is done, make sure to spend some time on the island itself, if nothing else to take in the vistas. 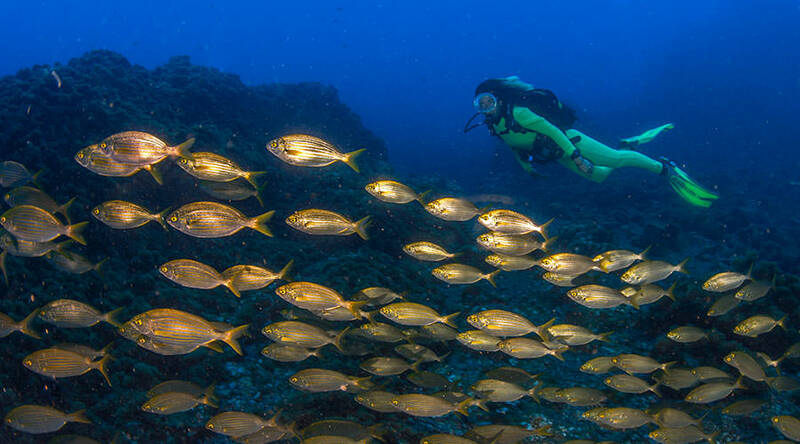 A day trip to Pico island is ideal for the day before your flight, when your diving is done. 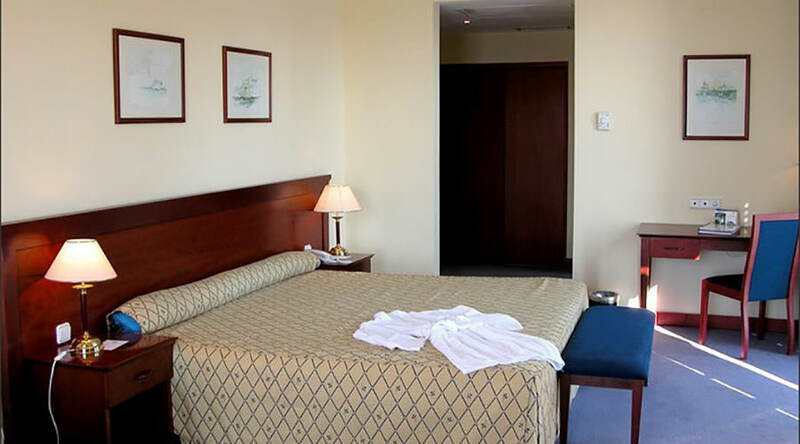 But if you prefer a more leisurely pace, the hotel has many facilities on site. There is an indoor and outdoor pool, Jacuzzi, sauna, gym and even a Turkish bath! 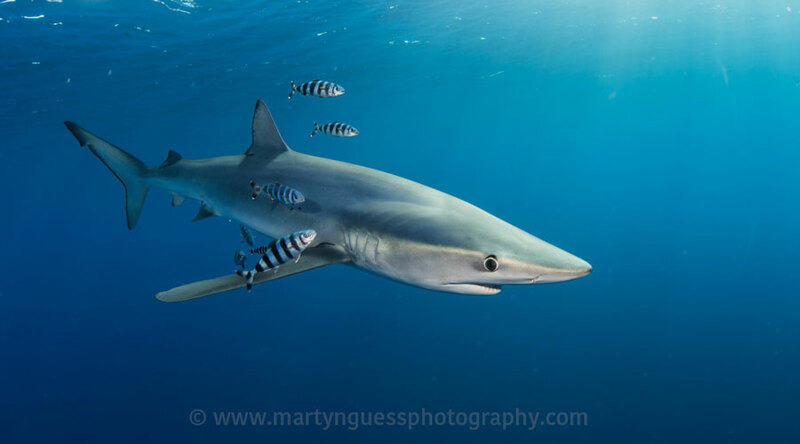 Blue Sharks with Martyn - For me, it was a trip that was quite out of the ordinary helped not only by being in an exceptional location but also by the relatively small number in the group. The diving was challenging - well more challenging than the warmer waters with which most of us are so familiar but that was the thing - it was different. I think, perhaps like some others, I only got used to it by the last day. 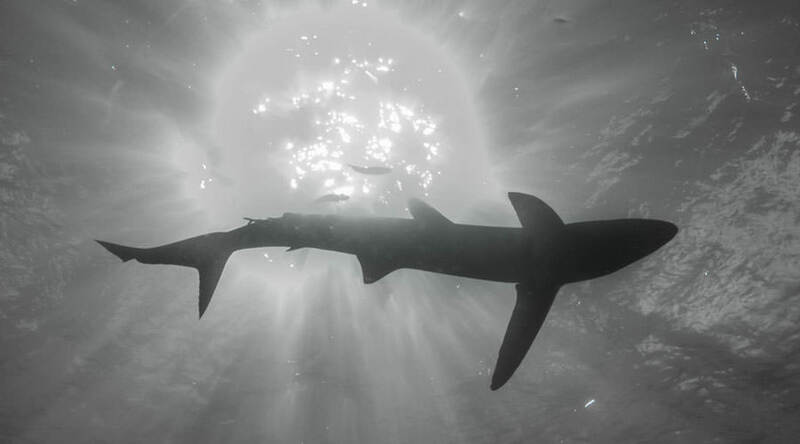 I have never done shark diving like that before; hammerheads in the Galapagos whilst crouching in a barnacle-encrusted crevice; tiger sharks in South Africa where they come so close you think you can stroke them but you know you mustn't, but dangling like a chunk of bait on the end of a piece of string with no bottom or reef in sight is something else! It was a thrill to get that classic shot of a sperm whale's tail "with drips" and I enjoyed very much our day out with several glasses of Veuve Pico. Thank you, Martyn, for a great week. Like Joss, I found it challenging but agree that by the last day we were quite getting used to it all. I thought the blue sharks were brilliant and would have loved to have had the third session with them. Such a shame that the weather changed when it did. Never mind, overall it was a wonderful experience. 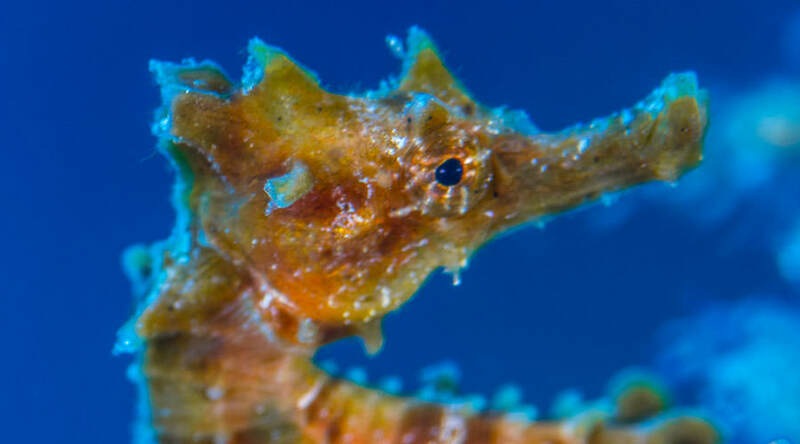 Thanks to you, and Scuba Travel, for organising it for us. All the nine islands of the Azores Archipelago are located in the North Atlantic. These volcanic isles are scattered along a 600 km stretch of ocean from Santa Maria to Corvo. 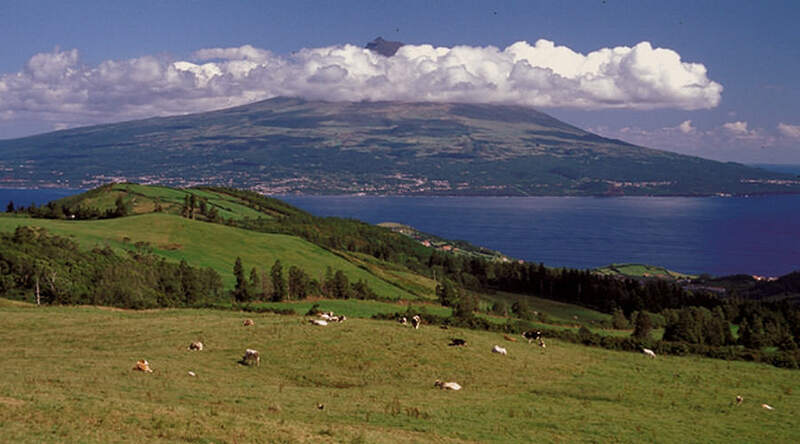 The islands of the archipelago are divided in three geographical groups: the Eastern Group, comprising Santa Maria and S�o Miguel, the Central Group, including Terceira, Graciosa, S�o Jorge, Pico and Faial, and the Western Group, composed by Corvo and Flores. Each island has its own individual atmosphere and distinctive flair. Typically, the best months for divers are May to October, when the marine life is at its most exciting and the water temps climb to 20-24C. The weather in the Azores is changeable! The islands enjoy a mild temperate climate throughout the year and benefit from the Gulf Stream; a current of warm water that heads north east from the Gulf of Mexico. The average air temperature varies between 11 and 26°C depending on the time of year and the surrounding ocean averages between 15 and 23°C. Being so far out in the Atlantic, the islands are prone to rainy days at any time of year, and without these showers of course, you could not enjoy the beautiful flora on the islands. 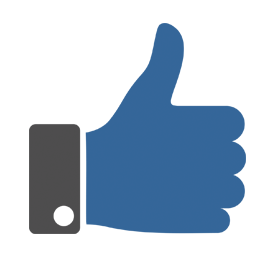 There are weekly direct flights from the UK with a flight time of 3� hours with Ryan Air and daily flights via Lisbon from Heathrow and Manchester with TAP. 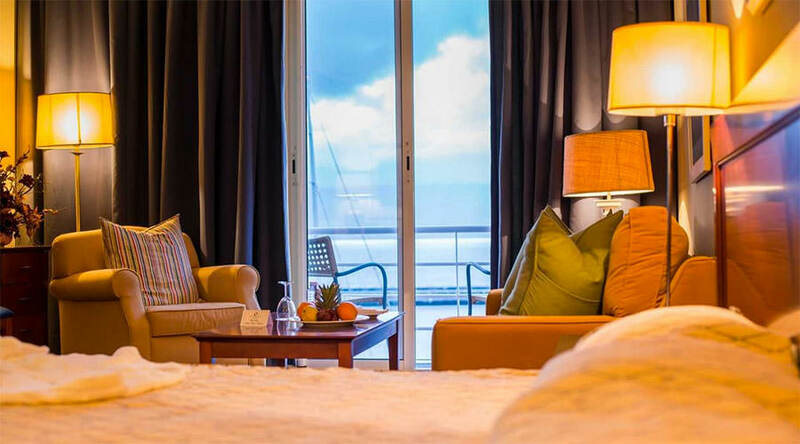 Depending on which island you are staying on, you may find you need a night en route in San Miguel before catching your onward Air Azores flight to Faial or Santa Maria. If you are flying with TAP, you can also add a night or two in Lisbon, Portugal en route. Transfers are included in your holiday. You will be advised in your travel documentation of how to find your transfer. Tipping is entirely at your discretion. We do not make recommendations as to how much to tip. Should you wish to leave a tip for the staff and crew, it should reflect the level of service you have enjoyed. The currency in the Azores is the euro. Card payments are accepted, but not in all shops or restaurants. The Azores has good GSM coverage but the signal can be patchy outside of the towns. Please check with your provider about data coverage. Electricity in Azores is 230 Volts, alternating at 50 cycles per second. If you travel to Azores with a device that does not accept 230 Volts at 50 Hertz, you will need a voltage converter. Outlets in Azores generally accept two round pin plugs. Nitrox is available for recreational mixes. This can be prebooked and prepaid or paid for locally. 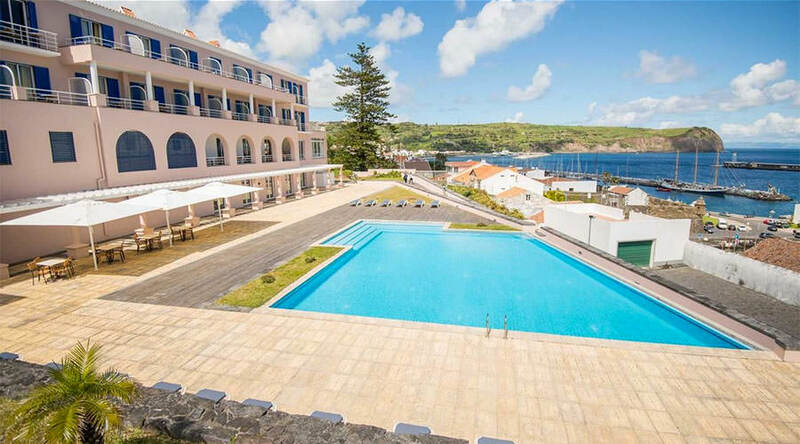 A typical deposit for a holiday to Hotel Faial resort is £250 per person, although this will depend on your exact flight option and travel class. Larger deposits may be required for some flight options (eg premium economy/business class). We accept mastercard and visa debit or credit cards. Alternatively, you are welcome to pay via bank transfer. All non sterling card payments and UK business debit cards will be subject to the 2% surcharge. Overseas bank transfers must add £6 to the sterling total to cover international handling fees. We are not able to accept PayPal transactions. Diving around Faial will excite all experience levels. The sites are uncrowded and Haliotis have the largest, most comfy boats to dive from. There are undulating reef reefs, lava tunnels, walls and even a wreck. The Pontao 16 is a firm fave for many divers, with vast schools of trigger fish. 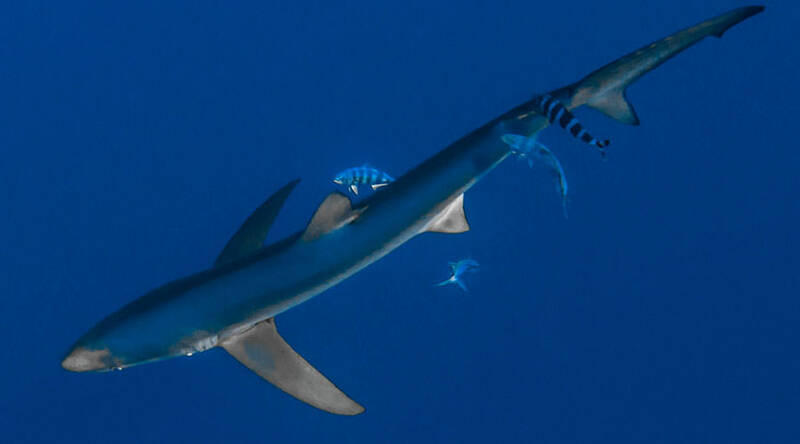 But the blue sharks are the undeniable must do dive. 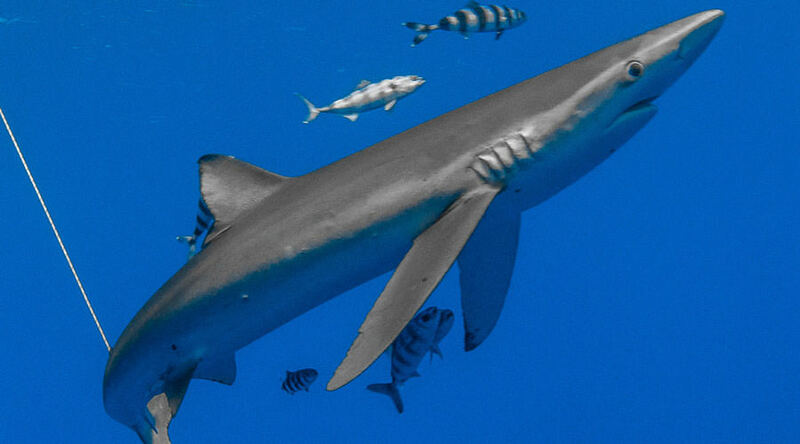 We recommend a special trip to Banco do Condor where you can gently drift with these elegant sharks in the shallows. 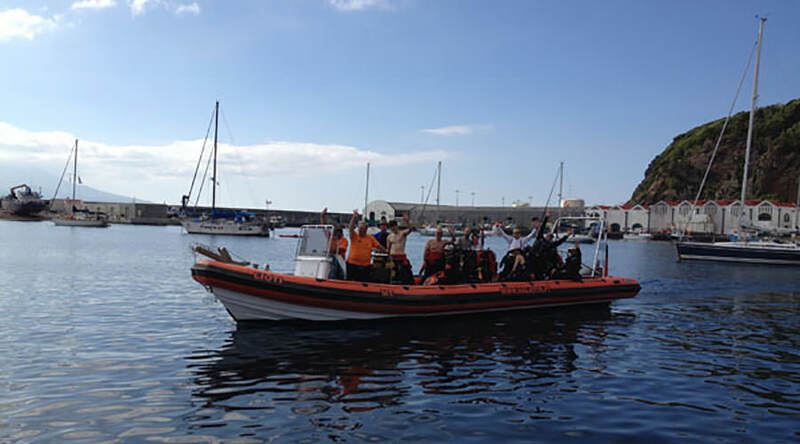 Haliotis dive centre are one of the region's premier dive centres, with all the experience you need to make your diving trip to the Azores a success. 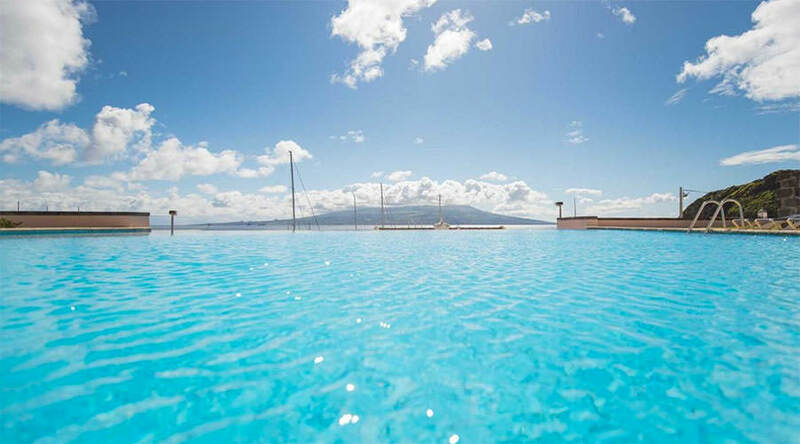 The dive centre itself is situated inside the Hotel Faial resort and right next to the Haliotis Divers' house. They pride themselves on their facilities, including changing rooms, a classroom, kit hire and shop. If you pre-book your diving as part of a holiday package with Scuba Travel you can take advantage of our special rates and make considerable savings on your dive package or dive course at Hotel Faial Resort. 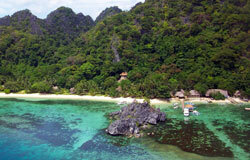 Japanese World War 2 wrecks await in Coron Bay, and with Sangat resort, you are in the hands of the experts. 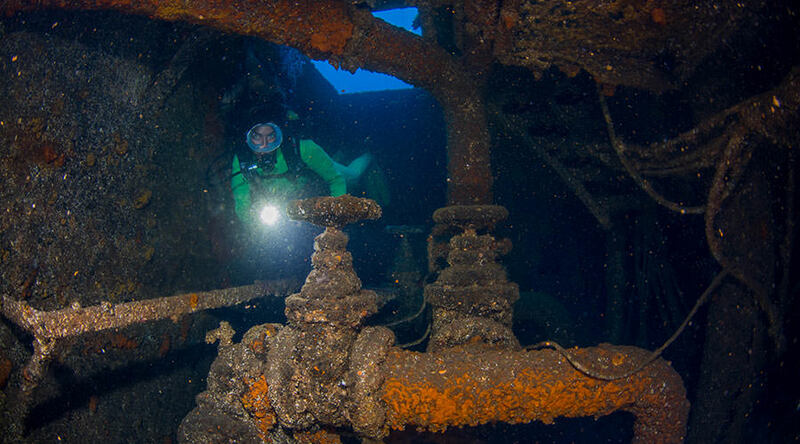 Recreational and technical divers can discover the wreck mecca of the Philippines.